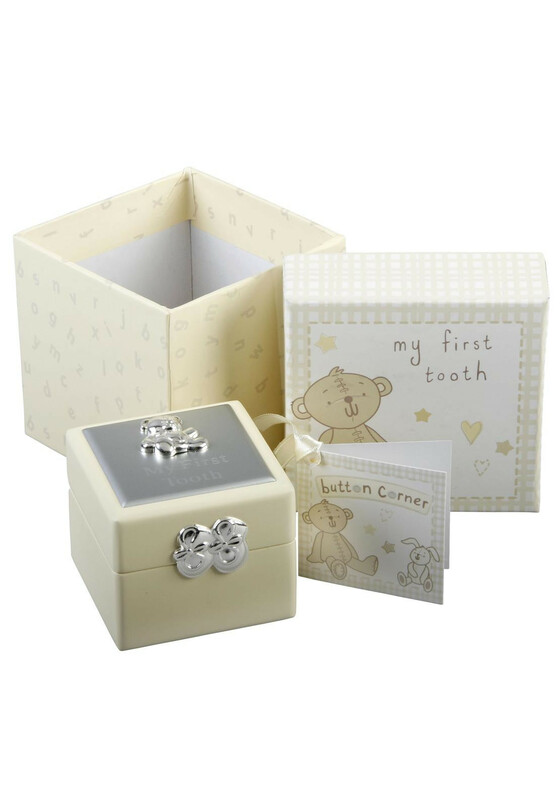 A delightful \"My First Tooth\" box from the delightful Button Corner range. An ideal present for a babies treasured first tooth. Simply lift up the lid to gain access to the velvet lined box. Supplied in a cream cloth storage sock with ties in a decorative presentation box.